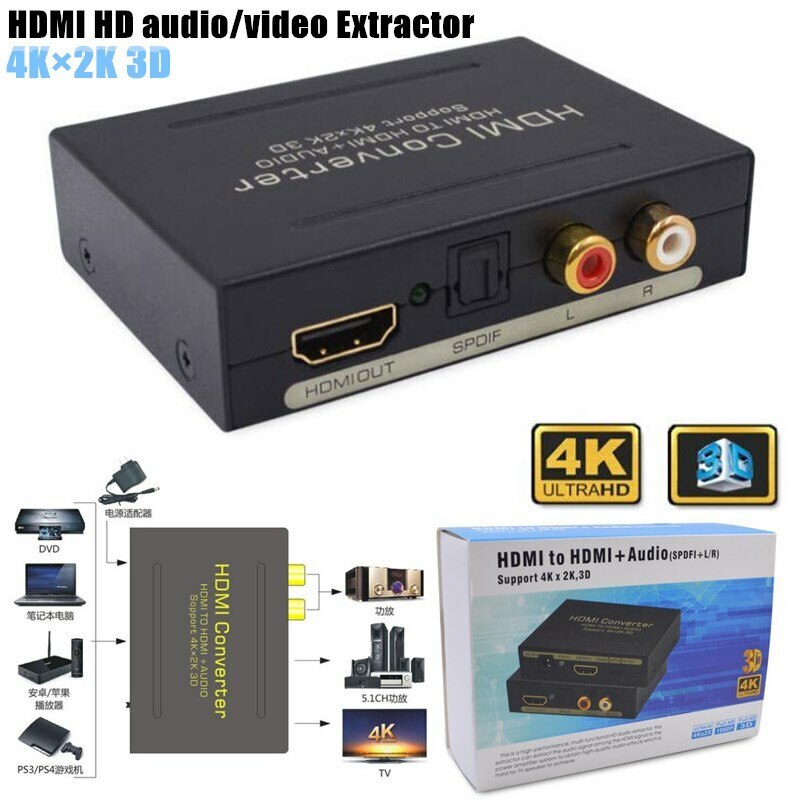 This is a high-performance, multi-functional high-definition audio extractor that can extract the audio signal from the HDMI high-definition signal to the power amplifier system. 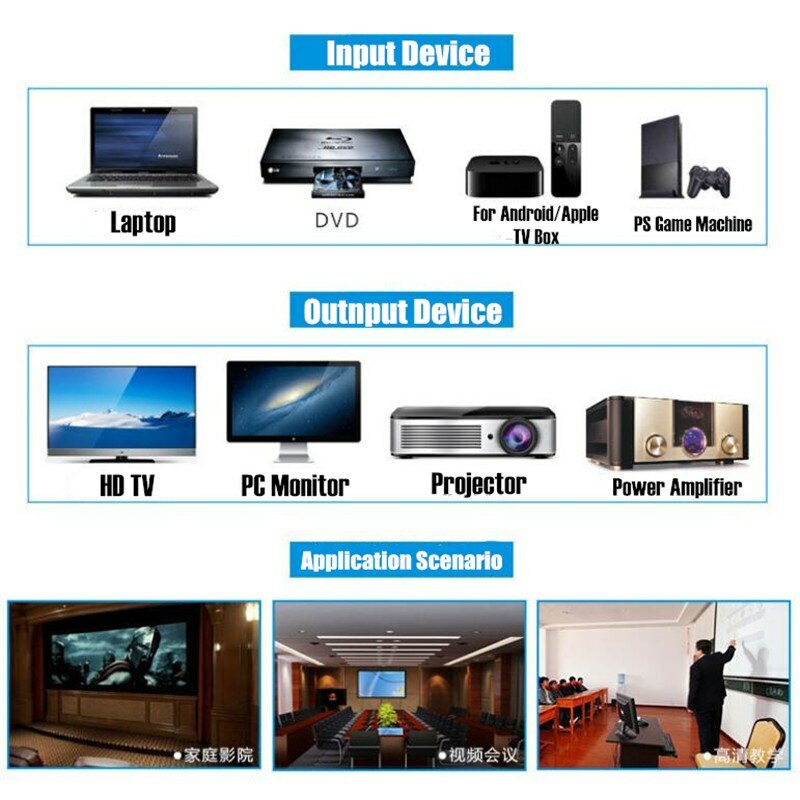 In this way, it is difficult to achieve the audio effects of television speakers. PWR: This light is red after power-on. 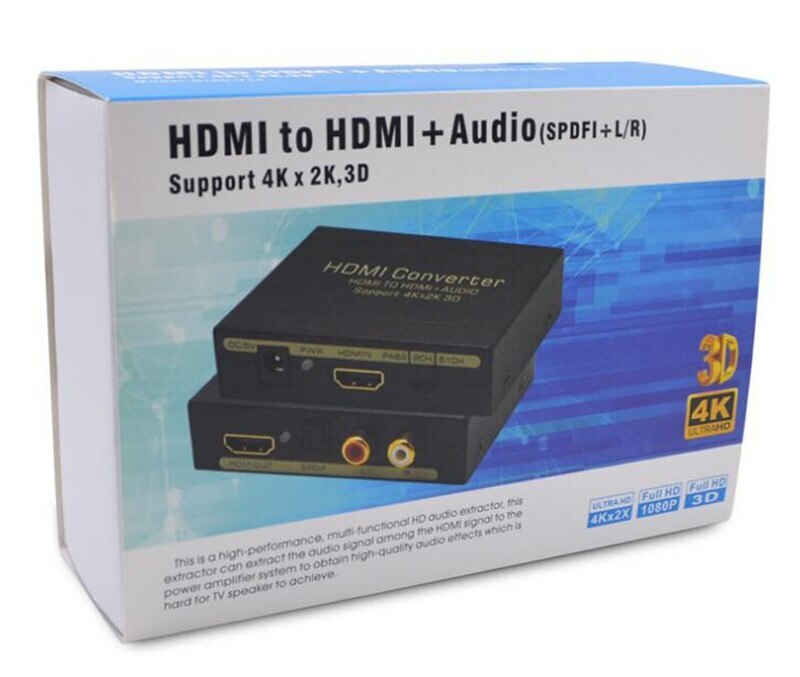 HDMI IN: High-definition audio and video signal input interface, connected to the input device. PASS 2CH 5.1CH: Audio format (EDID) selector switch. PASS: The switch is set to this position. 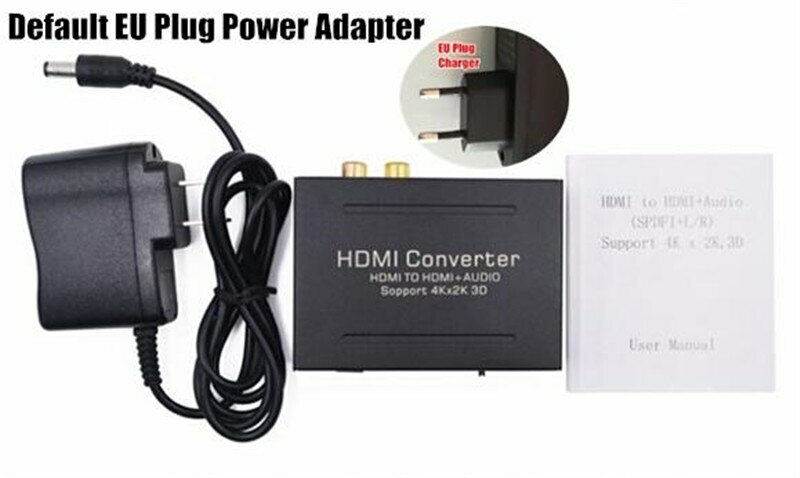 The format of the audio signal output by the adapter is based on the TV\'s default audio format (EDID). 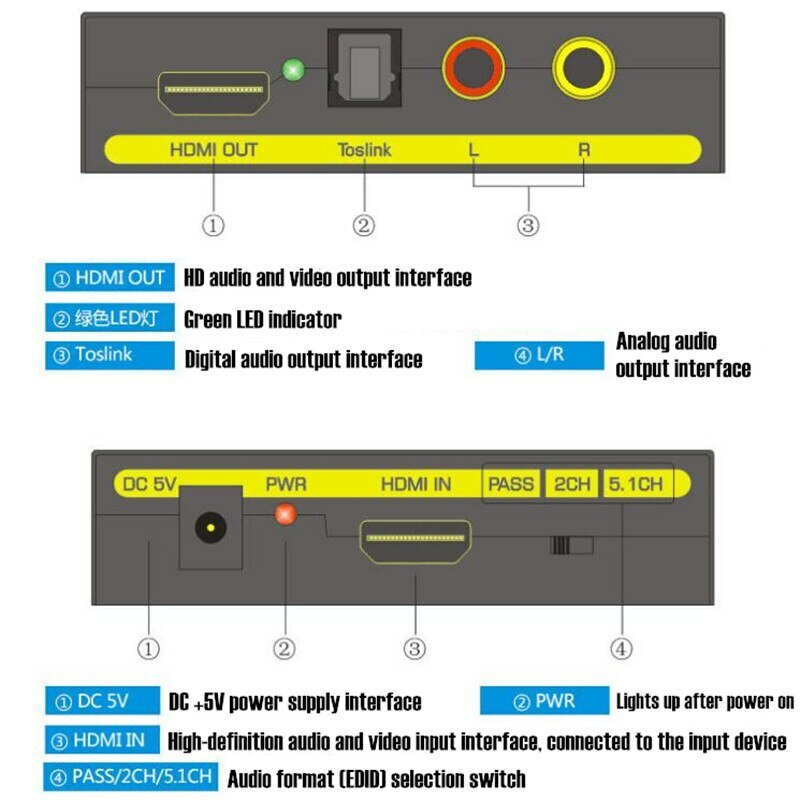 2CH: When the switch is in this position, the adapter\'s fiber outputs 2-channel digital audio signals; L/R outputs 2-channel analog audio signals. 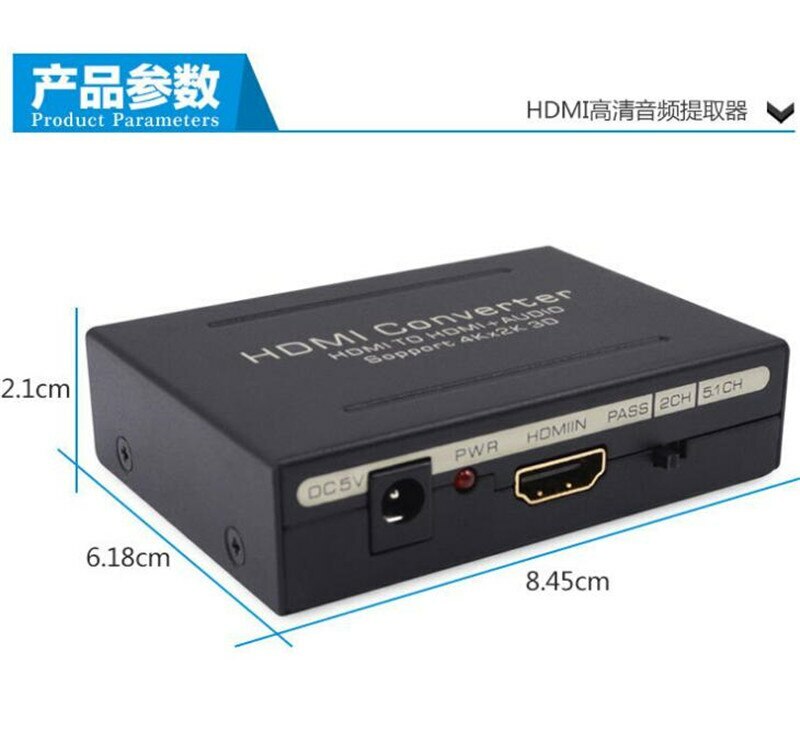 5.1CH: When the switch is in this position, the adapter\'s optical fiber outputs a 5.1-channel digital audio signal. 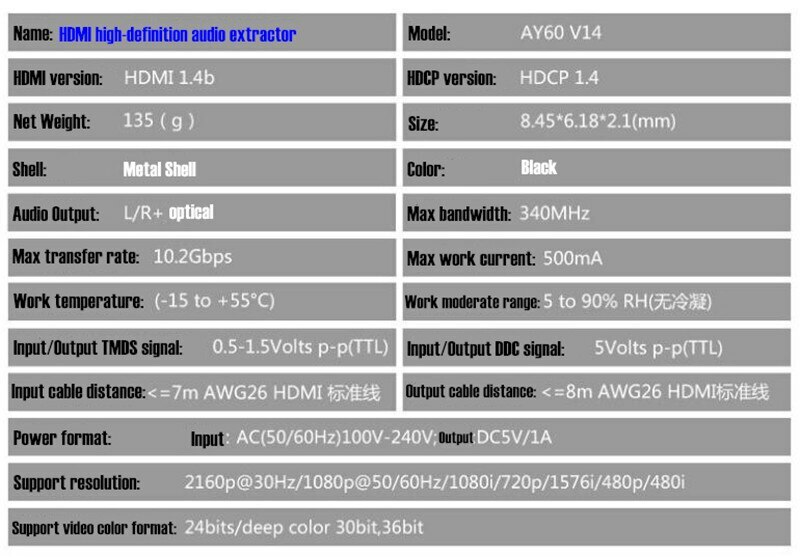 In this mode, whether the fiber outputs 5.1-channel audio depends on whether the source contains a 5.1-channel audio source. 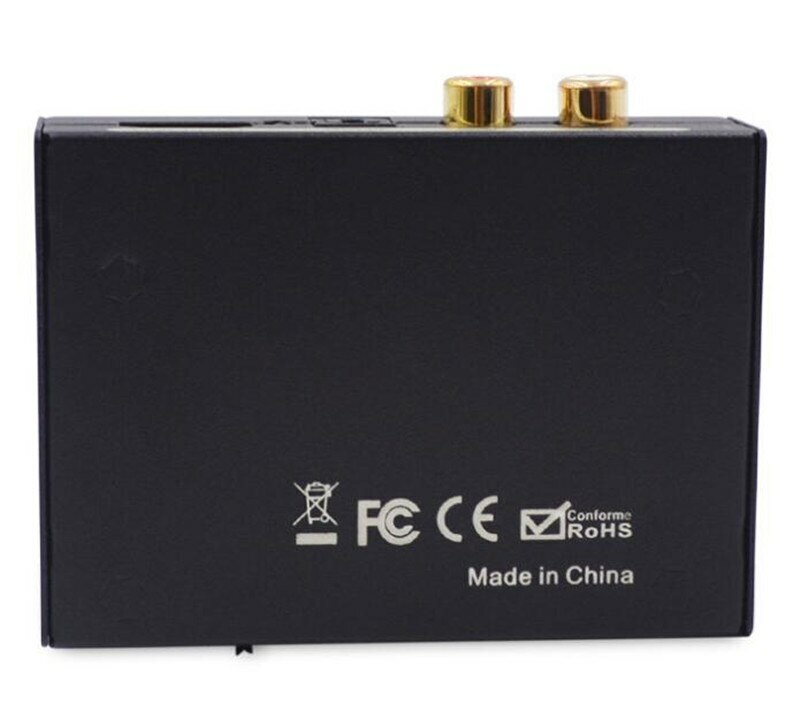 If it is included, the optical fiber outputs a 5.1-channel audio signal. At this time, the headset has no output. 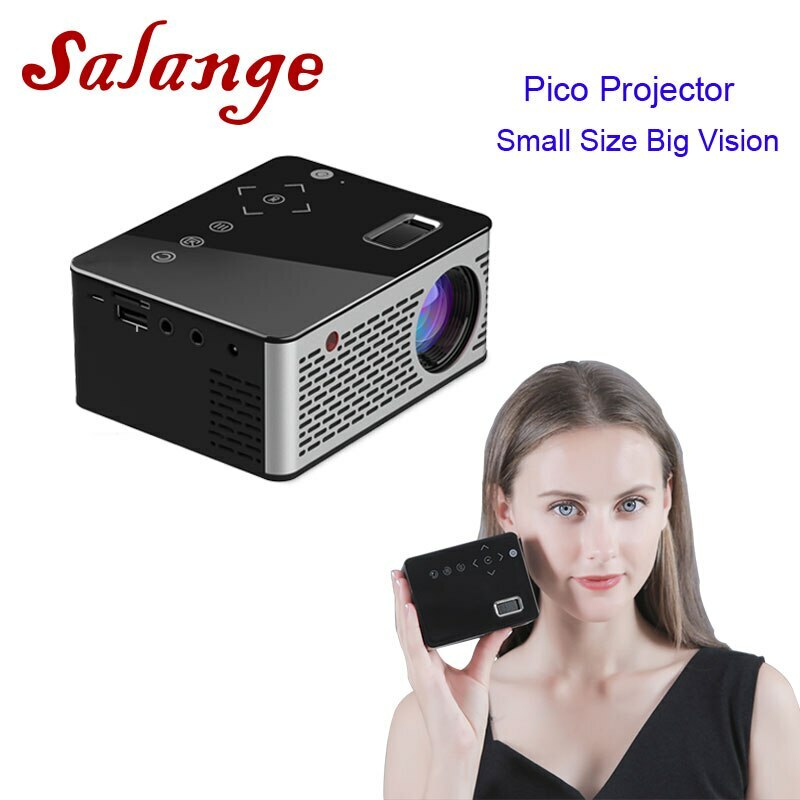 If not included, the fiber and headphone output 2-channel audio signals. 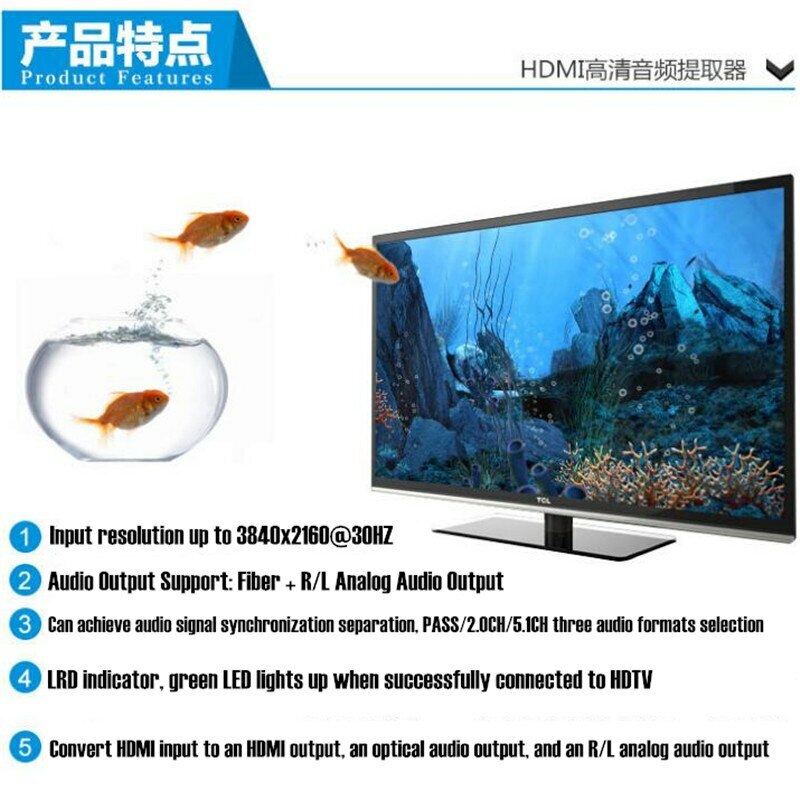 GREEN LED: The HDMI output LED indicator lights up when the TV is properly connected. 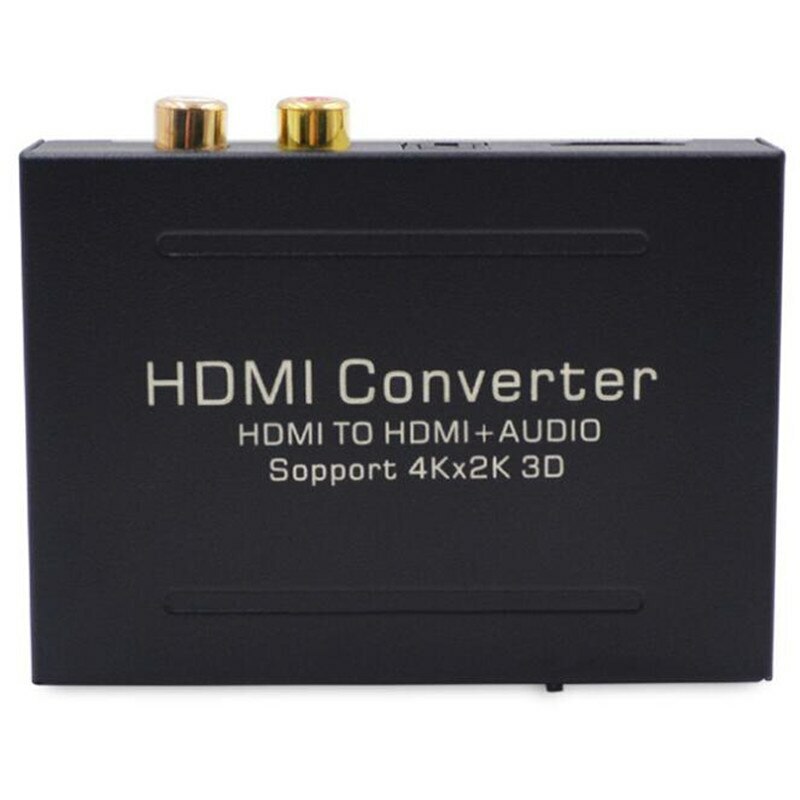 HDMI OUT: High-definition audio and video output interface. 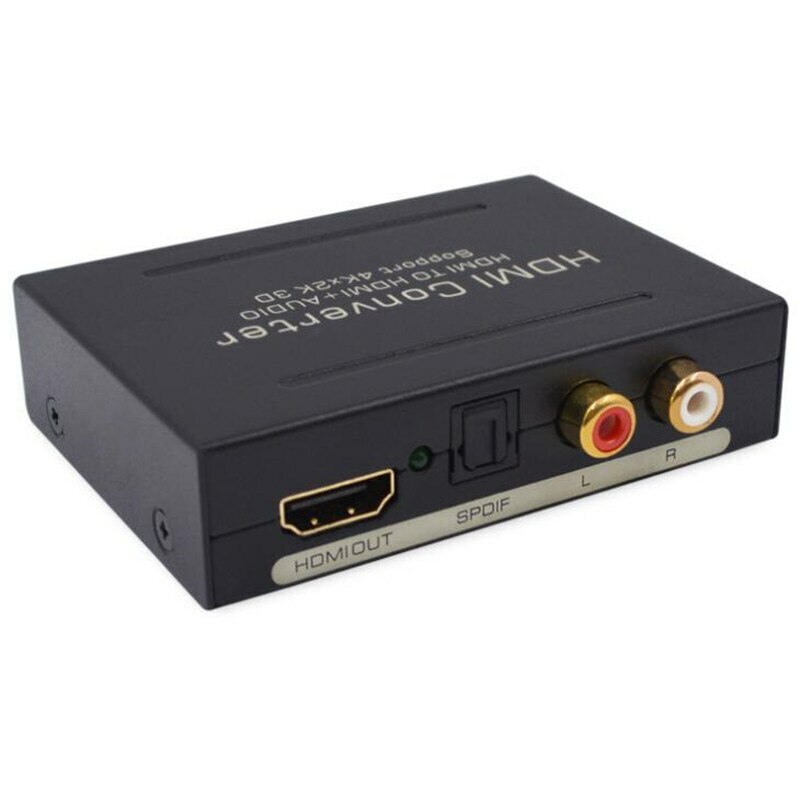 Toslink: Digital audio output interface. L/R: Analog audio output interface. Before installation, make sure that all the devices you are going to connect are off. 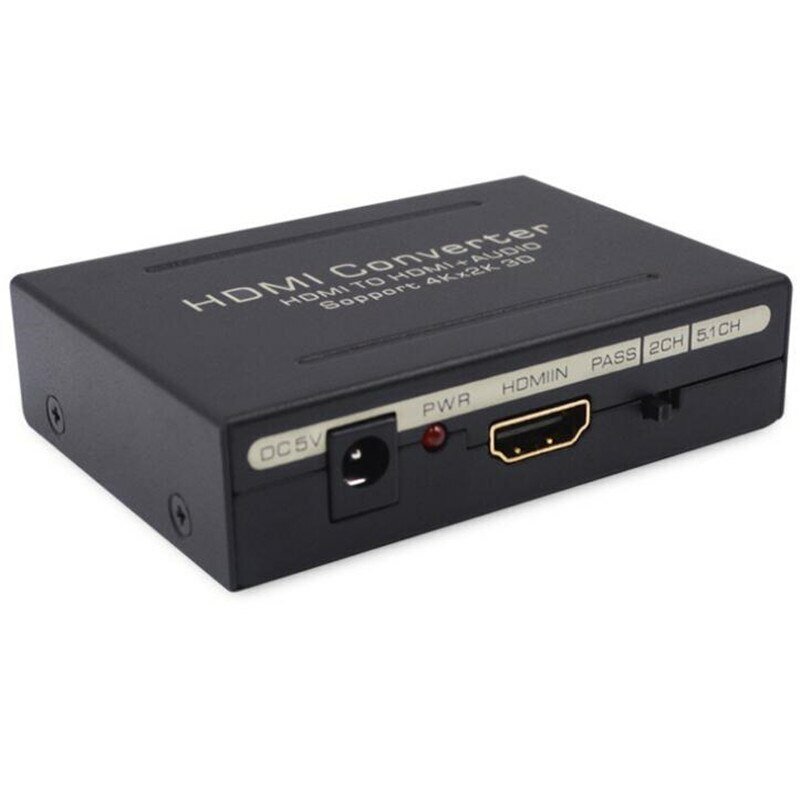 # Use an HDMI cable to connect the HDMI input port to a high-definition source device. 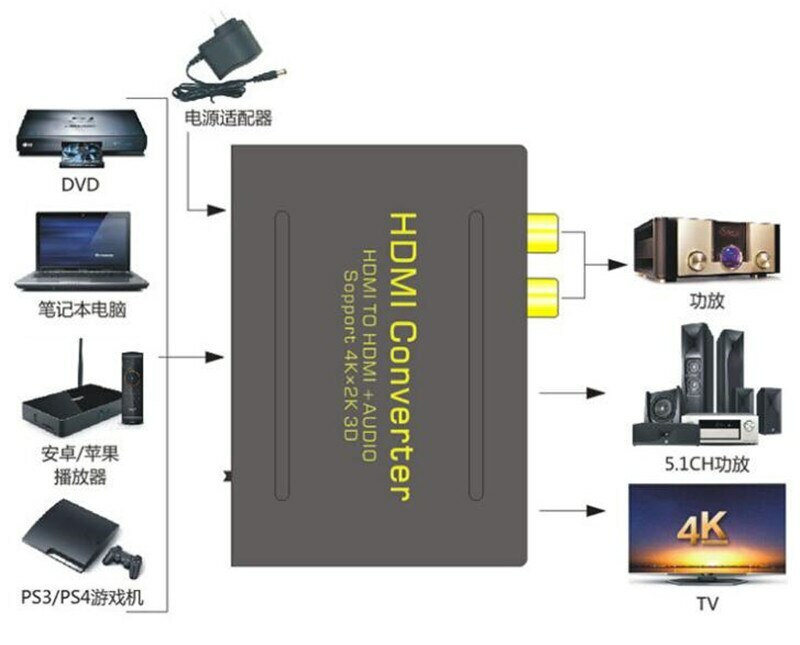 # Use the HDMI cable to connect the HDMI output port to the HD monitor. # Use an audio cable to connect the R/L connector to the audio device. # Use a fiber optic cable to connect the fiber interface to the audio device. # Use a 5V USB power cable to connect the converter to a 5V/1A USB jack.